To create the waves I used @ursugar_official #nailvinyls 🌊🌊🌊(product ID 39877). This decals are very easy to work with because they’re very adhesive, polish isn’t dripping under the nailvinyl so it gives a perfect pattern on your nails 👍💙 Make sure your colored base is completely dry otherwise you might pull of the base to when you pull of the nailvinyl. To create the clover shape I used @ursugar_official #nailvinyls ☘☘☘☘☘(product ID 39877). 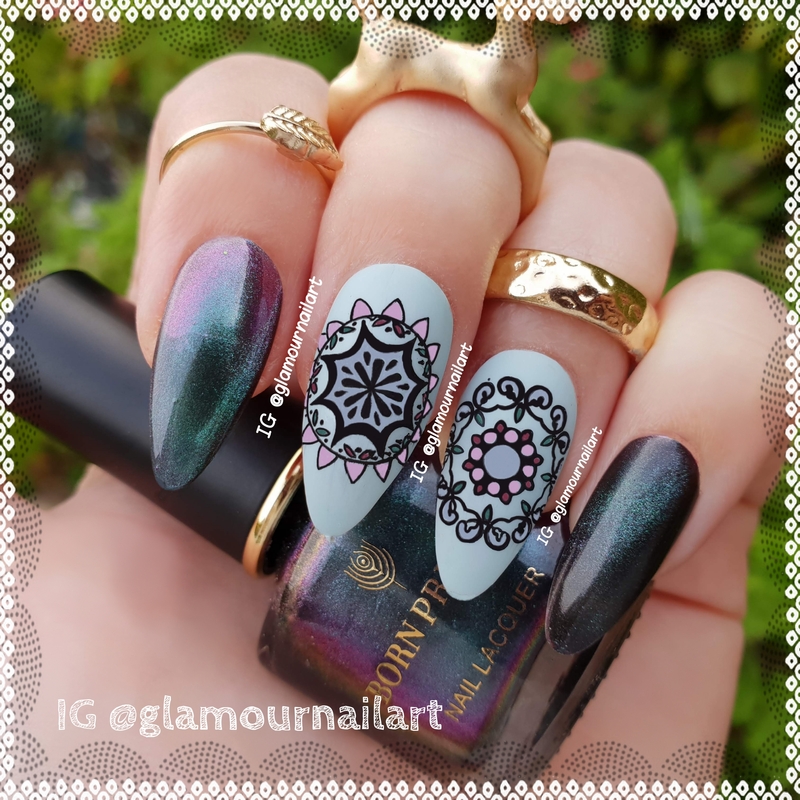 This decals are very easy to work with because they’re very adhesive, polish isn’t dripping under the nailvinyl so it gives a perfect pattern on your nails 👍☘ Make sure your colored base is completely dry otherwise you might pull of the base to when you pull of the nailvinyl. You should check out Kaz Creations , they have the cutest waterdecals ever 💖💖 all kind of cute figures, I love them so much.